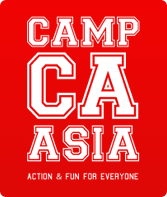 Camp Asia Academy is part of the same group as Camp Asia Holiday Camps which has now been operating since 2012 and has become the leading holiday camp provider in Singapore. Camp Asia is the ideal destination for your children during their school holidays to keep them busy and learning in a fun and safe environment. From our experience in running summer camps, and being part of Cognita, one of the world’s leading independent schools groups, we reckon we know and understand your priorities and concerns as a parent. Will meet and beat your expectations! All camps are based at Stamford American International School or at the Australian International School allowing Camp Asia to utilise their "leading edge"and "state-of-the-art" facilities. Check out our wide range of programs below - there is something for everyone! Exploring the fascinating (and delicious) world of food, gaining kitchen confidence and as a finale – entertaining you, the parents! Using various programming platforms and coding technique to explore digital story-telling, computer game design and mobile app development! From electrical circuits to telecommunication technologies - children will learn about (and build their own) high-tech equipment. Inspiring aviators of the future. Uncover the past, present and future of flight and enjoy a hands-on experience with planes, drones and flight simulators! There’s a new way to get around. Singapore may be a concrete jungle, but kids can make it their playground through strength, agility and fearlessness! For those who love to entertain! Wow your friends and family with a new bag of tricks. Children will expand their creative minds through Magic. Child will get to explore the exciting world of Drones, learning about programming and real-life applications with plenty of hands-on piloting time!